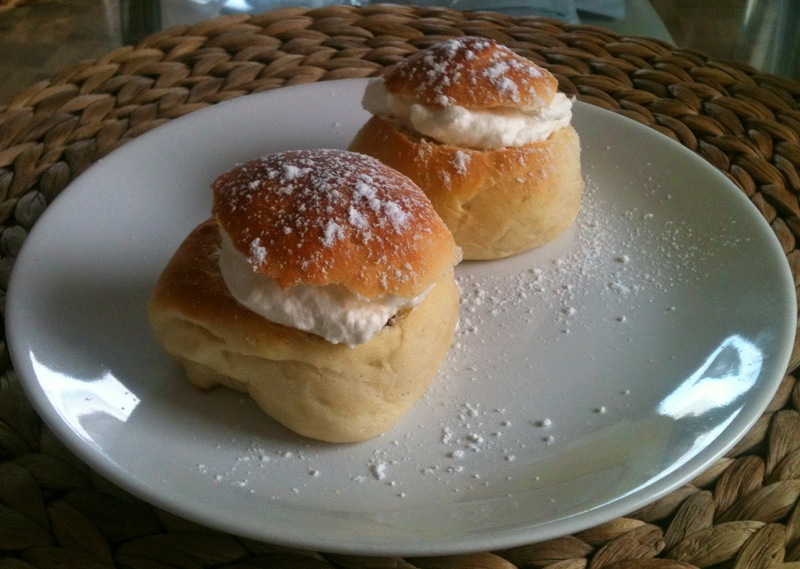 In Scandinavia, people traditionally eat Semlor on or before Mardi Gras but nowadays enjoy them during the whole month of February. Semlor are a pastry composed of a sweet cardamom-spiced wheat bun filled with almond paste and topped with whipped cream. The top of the bun is cut off, the inside of the bun scooped out, mixed with milk, sugar, and almonds, and then put back inside the bun. Whipped cream is added on top of the filled bun, then the lid is put back on and decorated with powdersugar. 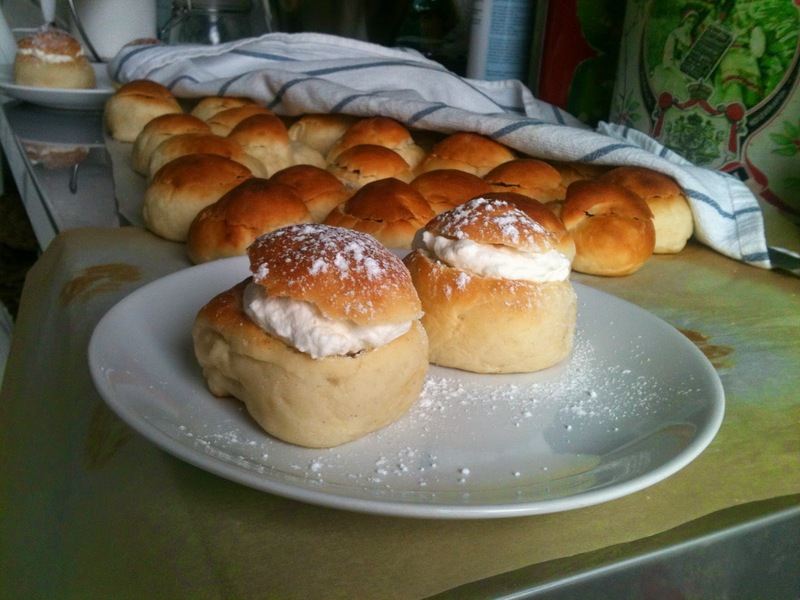 Semlor look like cream puffs but are so much more. And they are so good! 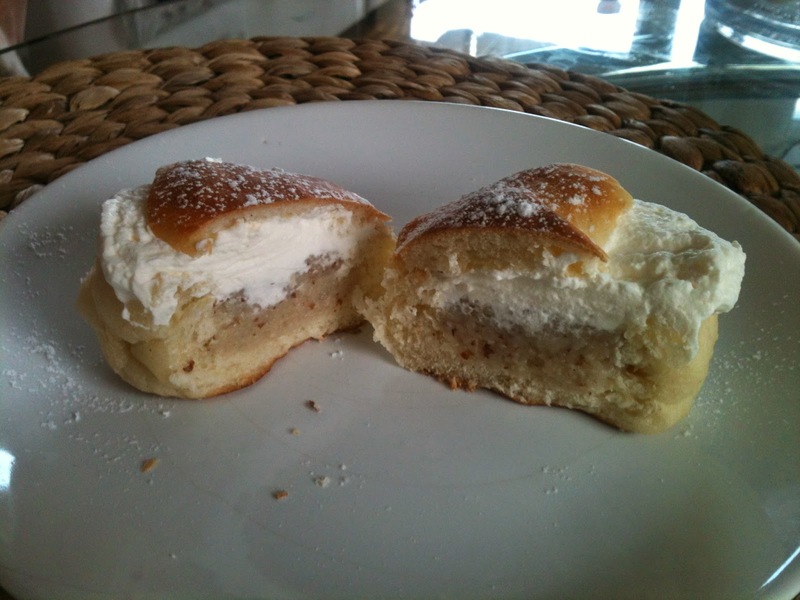 Above is a picture of the Semlor I made last week and I will post shortly the recipe so you can try and bake them yourself. Homemade Semlor do take some time to bake, but like most desserts, taste so much better than the ones you find in stores. So here is the recipte and try them yourself! Melt the fat in a kettle and add the milk; warm it up to 37C. Break down the yeast into small crumbs and dissolve it with a bit of the fat+milk. Then add the rest of it, salt, sugar, and cardamom. Add flour progressively while mixing and finish working the dough by hand until it just does not stick anymore. Put the dough in a bowl, cover it with a cloth (it should not touch the dough) and let it leaven at least 30 min (I leave it for 60 min). 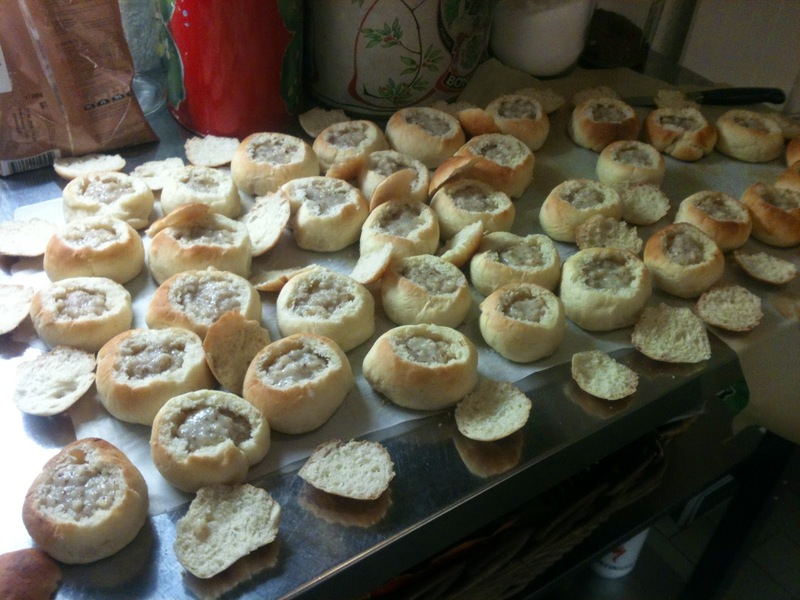 Work the dough again and divide it up into 40 small buns. Let them rise again 30 min. 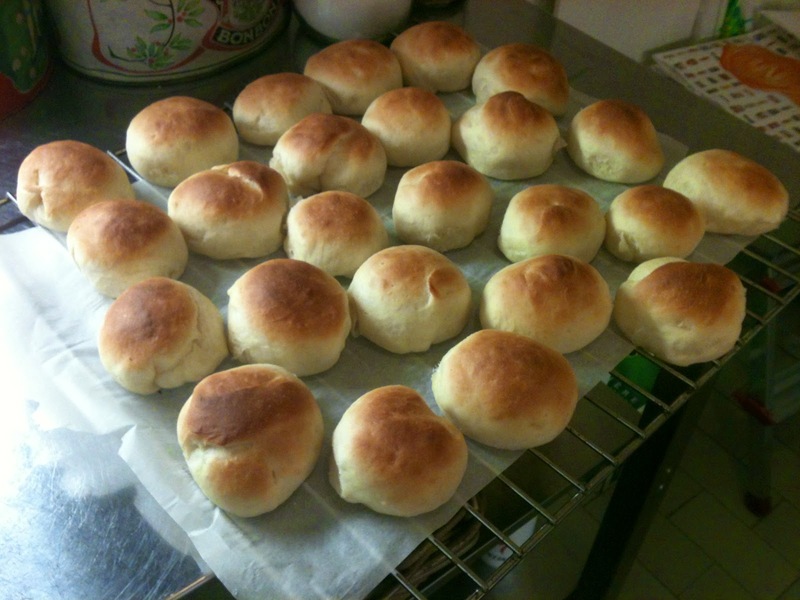 Bake them approximately 10 min at 225-250C. Trop chous tes ptits choux! ça à l'air délicieux !!! combien de temps de préparation faut-il compter ? Merci! Il faut compter environ 2.5h pour tout faire, ca prend du temps mais ca en vaut la peine!